Black Tulip presents ‘Tulipmania’ May 1st 2017 on Live from WFMT at WFMT’s Levin Performance Studio at the Renée Crown Public Media Center. Tulipmania looks at the cultural and political events during the peak of Dutch power during the 17th and early 18th centuries. The Dutch protestant north was a bastion of religious tolerance and personal freedom, while the rest of the continent was embroiled in civil wars, and the disastrous 30-Year’s War. The new-found prosperity of this emerging capitalist society encouraged the development of the arts, and provided a large and receptive market for the musical and artistic productions of other countries as well. Experience music of native composers as well as foreign composers who were well known is the Low Countries. Tulipmania was a period in the Dutch Golden Age during which contract prices for bulbs of the recently introduced tulip reached extraordinarily high levels and then suddenly collapsed. For more information on Live from WFMT, visit http://blogs.wfmt.com/livefromwfmt/2017/05/01/black-tulip/. For more information on Black Tulip, follow us on Facebook at http://www.facebook.com/BlackTulipEarlyMusic & on Twitter at http://www.twitter.com/BlackTulipEM. 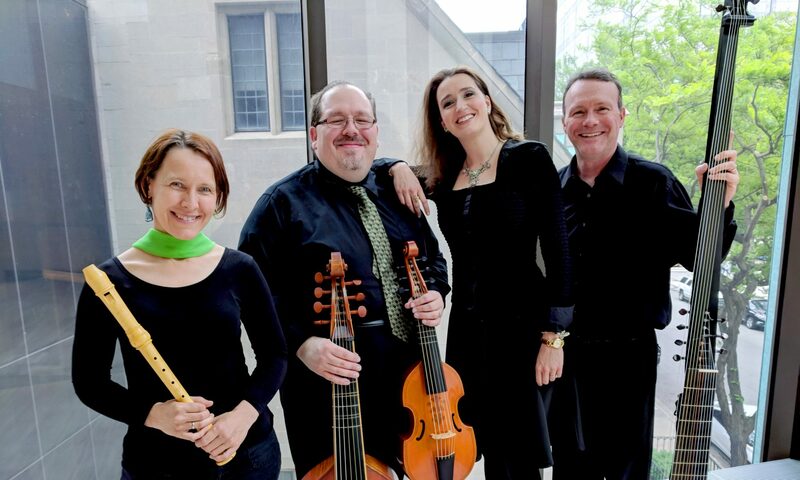 Black Tulip presents ‘Let Us Howl!’ May 11th, 2015 on Live from WFMT at WFMT’s Levin Performance Studio in an exciting and virtuosic program of works by Bartoloméo da Selma y Salaverde, Carolus Hacquart, George Frideric Handel, Robert Johnson, Nicola Matteis, Henry Purcell, Monsieur de Sainte-Colombe, Georg Philipp Telemann, and Antonio Vivaldi!